October is National Breast Cancer Awareness month, so what better a time to review the limited edition Pink Yeti Cooler? Whether it’s 1918, when pink was considered a boy’s color, or now, when social constructions say pink’s a “girl’s color,” pink is definitely the color for Breast Cancer Awareness month. 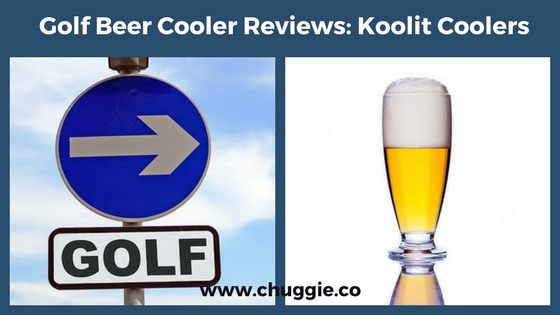 The following are detailed reviews of the 3 sizes of Pink Yeti Coolers for Sale. 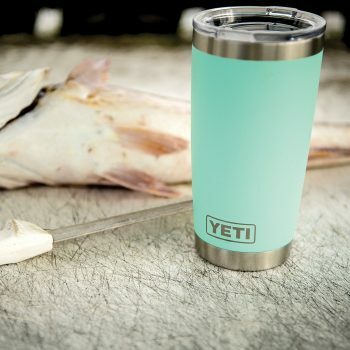 The Yeti 20 oz Tumbler in Seafoam is here to mix things up before diving into pink land! 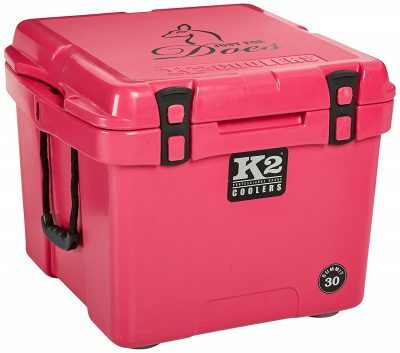 First, there’s the ever-popular Pink Yeti Roadie Cooler for Sale. 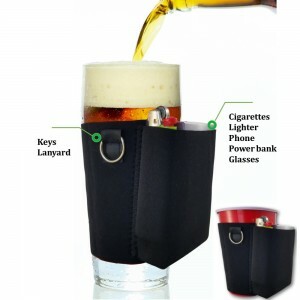 This unbreakable beast can handle wherever your wild lifestyle takes it. Although it’s the smallest Yeti Tundra model, it can still hold a heck of a lot: 14 cans of beer (with a 2:1 ice ratio) or 20 lbs of ice, when empty. 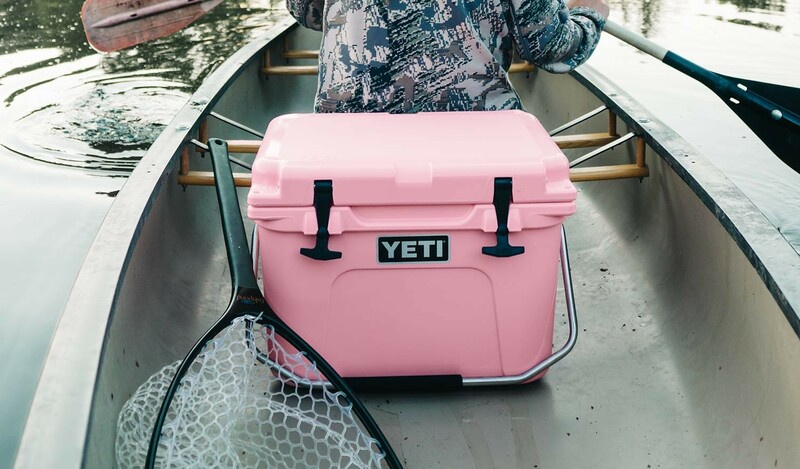 Featuring strong “T-Rex” latches and a Certified Grizzly Bear Resistant shell, your “pretty in pink” ice chest will handle whatever the wild throws at it, no matter how cute it may be. How long can the Pink Yeti Roadie Cooler hold ice? 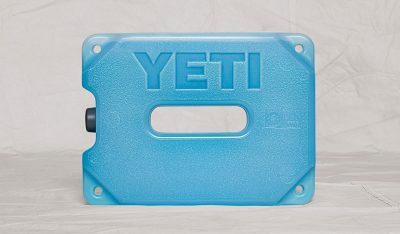 In terms of ice retention, you can count on thick Yeti Permafrost insulation to lock the cold in and keep the heat out. Reports range from 2 to 5 days of ice retention in this smallest Yeti Tundra model. Even though ice retention depends on factors like outside temperature, there are things you can do to dramatically lengthen the amount of time your trusty Roadie will hold ice. 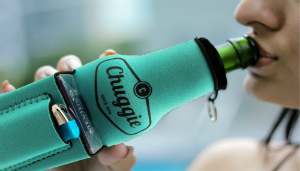 Remember that you’ll get the most mileage out of your Pink Yeti Roadie Cooler by pre-cooling at least 24 hours prior to packing, storing away from direct sunlight, and using a combination of regular ice chips and an ice substitute. Watch “How to Keep Your Ice MUCH Longer” for all the best tips for maximizing ice holding time in a Yeti Ice Chest. For a full overview of the Yeti Roadie in action, take a peak at the video below. 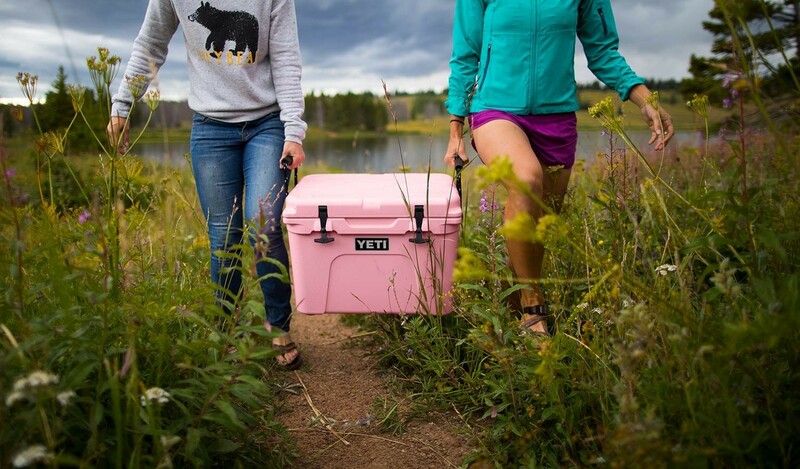 If what you really want is a small pink cooler with outstanding ice retention, check out the Orca 20 Quart vs Yeti Roadie 20 ice chest challenge. 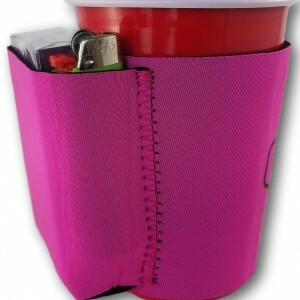 Orca Ice Chests have better ice retention and are available in pink as well. However, proceeds from pink Orca Ice Coolers aren’t designated for a special cause like Breast Cancer Awareness. Next in Yeti’s Limited Edition Pink Coolers selection is the Pink Yeti Tundra 35 Cooler. In addition to measuring capacity in quarts, another way to look at it is a capacity of 20 beer cans (2:1 ice ratio) or 28 lbs of ice. Like the Pink Yeti Roadie, the Pink Yeti Tundra 35 is rotomolded from damn-near indestructible polyethylene. Not even the most pissed off Grizzly Bear’s going to get her hands on your tasty breakfast. First, there are two molded-in rail handles instead of the pull-up handle. Second, a set of marine grade nylon rope handles on this next size up allows two people to distribute the weight evenly while they share the burden. Finally, the Pink Yeti Tundra 35 comes with a standard dry goods basket. You’ll find these dual sets of handles and one included dry goods basket standard for every Yeti Tundra larger than the Yeti Roadie. 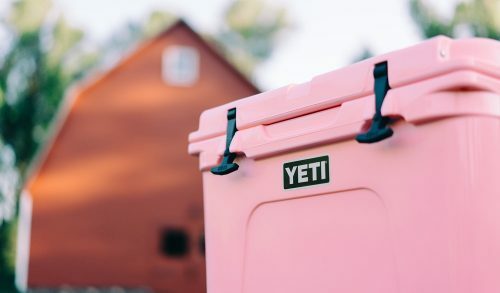 Just like there’s a pink alternative for the Yeti Roadie, you have the choice of investing in another brand of high-end ice chests of comparable size. Again, our detailed Orca vs Yeti ice chest comparison breaks down how the two high end ice chest brands compare in terms of ice retention. (As well as many other aspects!) However, proceeds from Pink Orca Ice Coolers aren’t designated for a special cause like Breast Cancer Awareness. 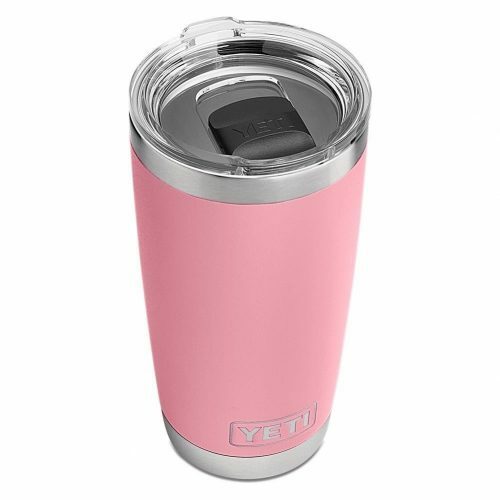 Last but not least is the Pink Yeti Tundra 50 Series. Just like the 35, it has the same important features of the Pink Yeti Roadie, plus the extras. Namely, the dual handles and dry goods basket included in the price. Plus, we’ve got the scoop on the latest Yeti discounts. You’ll never guess where we’re headed with this note! (Cue the eye rolls, as this note is consistent with the first two.) But it is extremely important to point out the value of Yeti’s fiercest competitor, Orca Coolers. Before you invest in the Yeti Pink Tundra 50, make sure to check out our 40 Quart Orca vs Yeti Tundra 50 Cooler Comparison. However, proceeds from pink Orca Ice Coolers aren’t designated for a special cause like Breast Cancer Awareness. Why? Because Orca churns out some mean, die-hard high end ice chests. A Pink Yeti Rambler Tumbler is yet another way to support Breast Cancer Research. 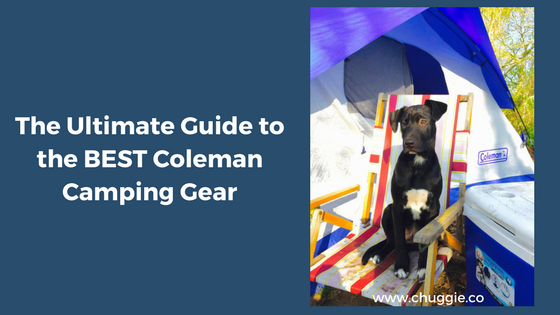 While investing in top notch gear, why not support an extremely important cause? 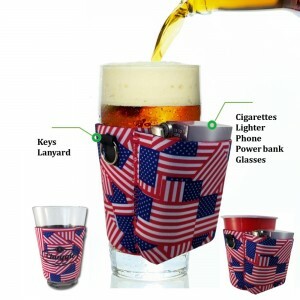 A Yeti Tumbler allows you to do exactly that, which is great for those on a budget. Yeti Tumblers are definitely more affordable than Yeti Coolers! 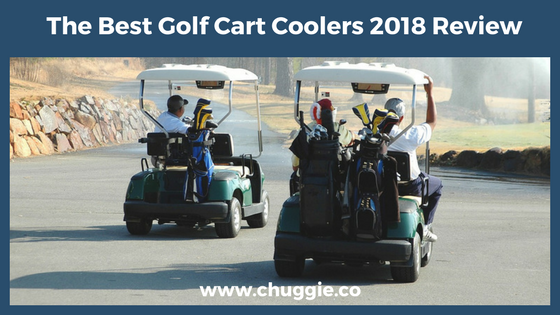 As promised, we have a few suggestions for other top rated coolers with models available in Pink. Of course there’s Orca brand coolers. 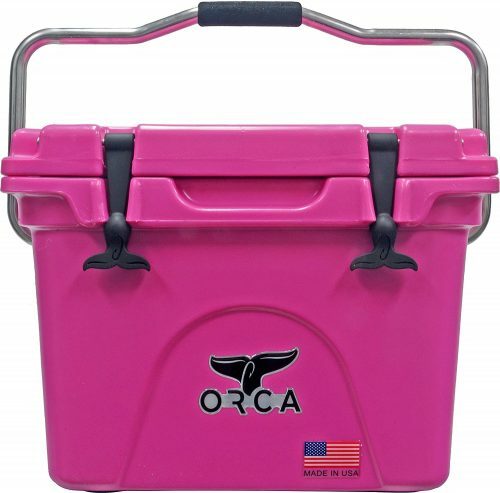 Below is an example of a Pink Orca Cooler, the Orca 20 Quart. Now that you’ve seen the ins and outs of the limited edition Pink Yeti Coolers for Sale, you have a more detailed picture of what Yeti has to offer. 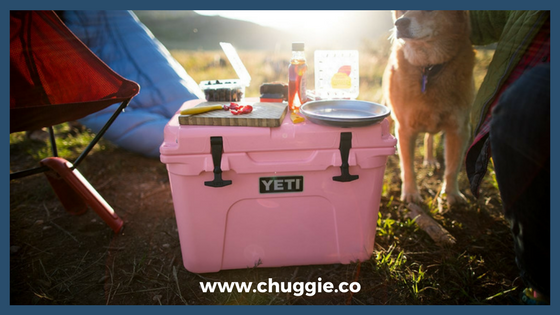 Since these are some of the best coolers on the market and they raise Breast Cancer Awareness, Chuggie wholeheartedly endorses Pink Yeti Coolers. But hey, make sure to consider all of the other wonderful pink ice chests out there. If you don’t go the Yeti Pink route, you can always make a separate donation to the Breast Cancer Foundation of America.